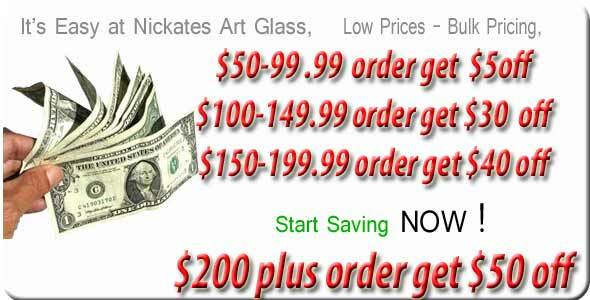 Spectrum 96 Fusible Glass Supplies at Nickates Stained Glass Supplies Inc.
Make one-of-a-kind jewelry - bowls-and custom fusible art work at Nickates. Nickates carries a wide selection of System 96 fusible glass from Spectrum glass. We stock over 600 system 96 colors and tetures in both fusible and none fusible coe. Please pick a catagory to locate your fusible glass below. Save money when you purchase glass packs. Spectrum System 96 Spirit & Opalart"